According to U.S. Senator Kamala Harris, 80% of men in the CA prison system come from foster care. The goal of this campaign is to develop awareness and encourage preventative measures for foster youth to end the pipeline of foster care to prison. RightWay is requesting monthly $8 donations to sponsor the resolution of this problem through intervention as foster youth age out. Since RightWay opened in 2011, 99% of the 350 youth served have not been incarcerated. We know that housing, mental health support, and jobs work to keep youth out of prison. 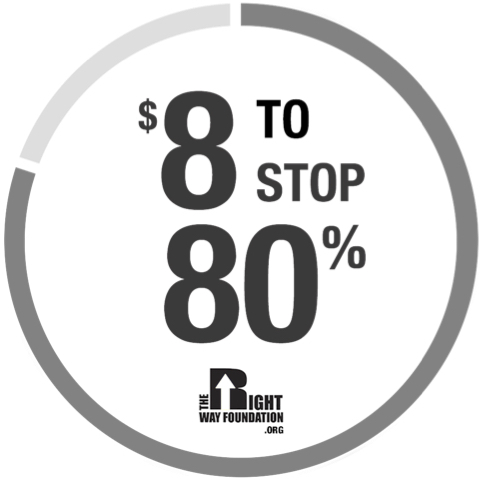 We can stop 80% with just $8.